We are about to Open!!! 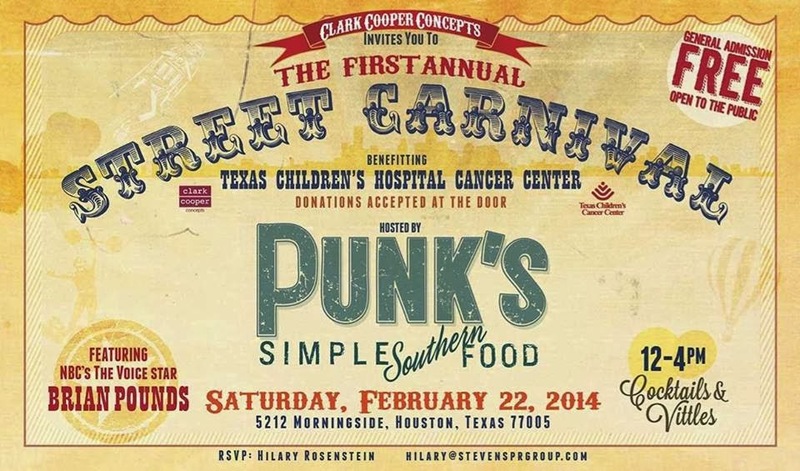 COME Party with Us At The First Annual Street Carnival! Brain Pounds from the NBC'S THE VOICE, Screen printing on site by Sanctuary, Smilebooth, Jugglers, Face Painting, Pie Eating Contest, Mechanical Bull, AND all to beneift TEXAS Children's Hospital Cancer Center. As Grant says, "Giddy up!"